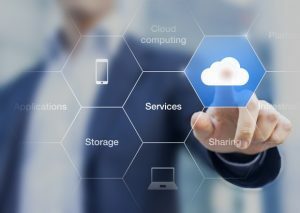 Cloud Services are still the buzz word with many business’s moving some or all of their main operating functions to the cloud in some format. At Shiloh Computers we are able to offer custom cloud services tailored to your business needs and budget. Take a look at some of our offerings and please feel free to call us on 01902 504710 or chat to us online. Don’t forget your network security is also important when using cloud services. Check out our security services HERE.